Filmmaker Emanuel Hoss-Desmarais has won the 2014 Claude Jutra Award for his first feature film, Whitewash, it was announced today by the Academy of Canadian Cinema & Television. The Claude Jutra Award is sponsored by Telefilm Canada. In addition to the Claude Jutra Award win, Whitewash has also received two Canadian Screen Awards’ nominations: Marc Labrèche for Best Supporting Actor, and Emanuel Hoss-Desmarais and Marc Tulin for Original Screenplay. 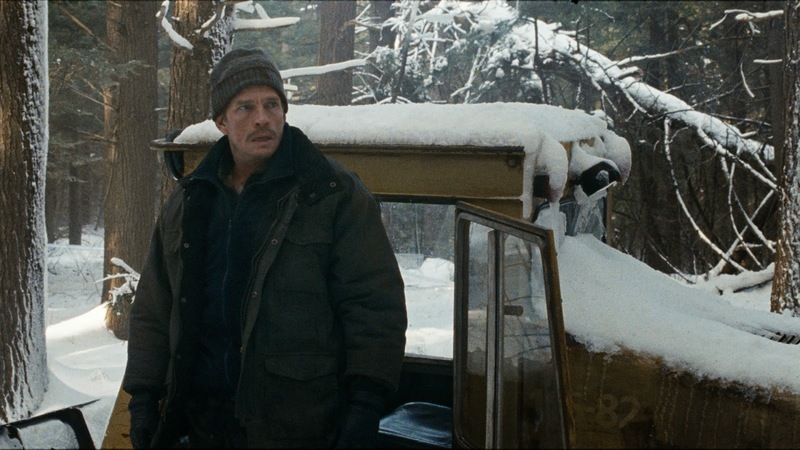 Co-written by Hoss-Desmarais with Marc Tulin, Whitewash tells the tale of Bruce Landry (Thomas Haden Church), who, on a drunken night, runs over a man (Marc Labrèche) with a yellow snowplow and buries the body before collapsing. When he awakes, he’s deep in a snow-covered forest unaware of his surroundings, and the ensuing story, set in a snowy Northern Quebec winter, is of a man imprisoned in the forest and his quest for survival, redemption and sanity. Prior to filming Whitewash, Emanuel Hoss-Desmarais was a successful commercial director, winning CREA – Quebec’s major advertising award – for best director in 2004, 2007 and 2008. His short film Marius Borodine was the Jury’s Pick at the 2010 Fantasia Festival, was nominated for a Genie Award in 2011 and made the list of TIFF’s Top Ten Best Short Films. As an actor, he appeared in 2004’s The Day After Tomorrow. Established in 1993 in honour of the late Quebec filmmaker Claude Jutra who directed the landmark Canadian classic Mon Oncle Antoine, his namesake award celebrates the outstanding debut of a first-time filmmaker. The Academy’s Claude Jutra Award winner is selected by a jury of Canadian filmmakers. Whitewash is produced by Luc Déry and Kim McCraw, who have a remarkable Academy track record, having twice garnered our Best Motion Picture award for Incendies and Monsieur Lazhar. Whitewash premiered at the 2013 Tribeca Film Festival in Manhattan where Oscilloscope Laboratories acquired U.S. rights. The film is distributed internationally by eOne Entertainment. Whitewash is distributed in Canada by Les Films Christal and will open theatrically in Quebec and Ontario (Toronto and Ottawa) on January 24, 2014. About the Academy | The Academy of Canadian Cinema & Television is a national, non-profit, professional association dedicated to the promotion, recognition and celebration of exceptional achievements in Canadian film, television and digital media. Unifying industry professionals across Canada, the Academy is a vital force representing all screen-based industries. About the Canadian Screen Awards and Canadian Screen Week | The Academy's Canadian Screen Awards is the annual awards show to celebrate the best in film, television and digital media; they are part of Canadian Screen Week (March 3-9, 2014) and the 2-Hour Live Broadcast Gala will air Sunday March 9, 2014 @ 8pm on CBC.